Incredible property perfect for large groups. Two homes connected by a large breezeway and a private pool! STR# 270316. 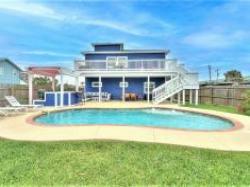 Amazing home in Village Walk with private pool, 180 degree gulf views and elevator! STR# 199046. Brand-new home at Royal Sands. 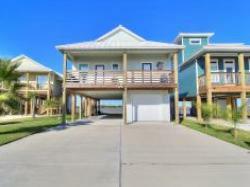 Beach access and 2 community pools! STR# 200107186. Beautiful 5 bedroom home in Lost Colony. 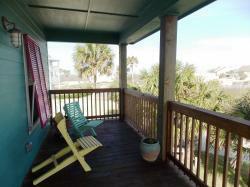 Community pool, boardwalk to the beach and gulf view from the private deck! 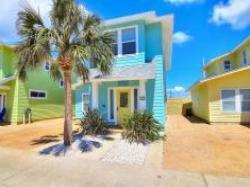 Amazing 4 bedroom home with private pool and great location 400 yards from the beach! STR# 200016619. 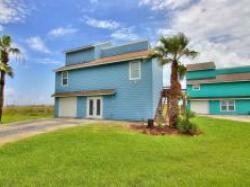 Amazing home at Sand Point with community pool and beach access! STR# 200099704. 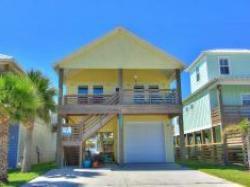 Great beach home in Village Walk. 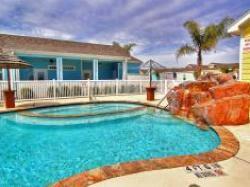 Perfect for large groups, 2 community pools! STR# 377674. 4 bedroom home with gorgeous PRIVATE pool and great location near shopping, restaurants and the beach! STR# 240210. 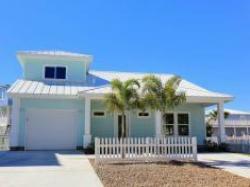 Brand-new, immaculate Island home. 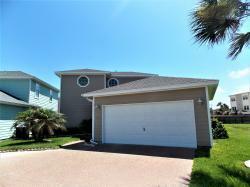 Beach access and 2 community pools! STR# 200107184. Amazingly furnished brand-new home in Ocean Village with private balconies, community pool. STR# 529392. Beautiful tropical getaway lined with palm trees and a Private Pool! Great location near the beach and town! STR# 297092. 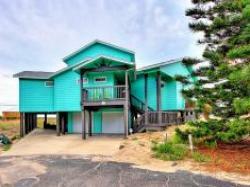 Amazing Island home with panoramic gulf views and beach access! STR# 252961. Perfect for large groups, 3 bedrms up and bunkroom down, large fenced yard and plenty of parking! STR# 297089. 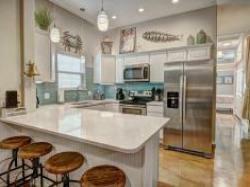 Newly remodeled home with designer touches throughout. Close to the beach and town! Available monthly only. 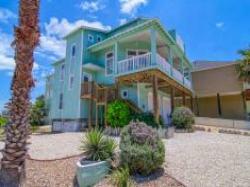 Lovely canal front home in North Padre Island. Amazing boat dock and boat lift. Available monthly only. Amazing 2 bedroom condo at Cline's Landing with ship channel views! Available monthly only. 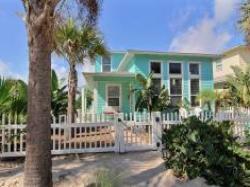 Cute 4 bedroom home with amazing location right on Beach Access Rd. STR# 200016628. New construction at Beachside Townhomes. Amazing swimming pool area! STR# 535927. Unique property with 2 separate dwellings. Close to beach and nice patio area! STR# 270659. Gorgeous 4 bedroom home at Paradise Pointe. Quiet location near nature preserve and beautiful community pool . STR# 378701. 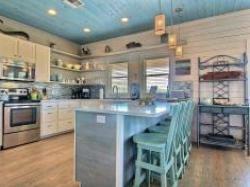 Brand-new island home at Paradise Pointe. Community pool and lots of outdoor space. STR# 378752. 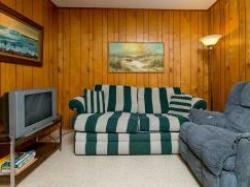 3 bedroom home at Paradise Pointe with quiet location near nature preserve. Community pool and fronts the water feature! STR# 378747. Gorgeous 3 bedroom home at Paradise Pointe with quiet location near nature preserve. STR# 378718. 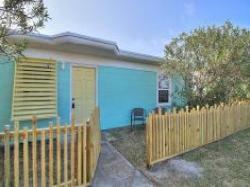 Charming 3 bedroom home in Beachwalk. 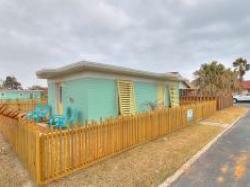 Community pool and boardwalk to the beach! 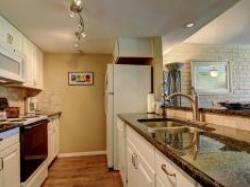 Beautifully renovated 3 bedroom townhome at Safe Harbor. 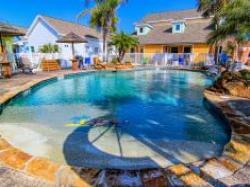 Sleeps 10 with community pool! STR# 378383. 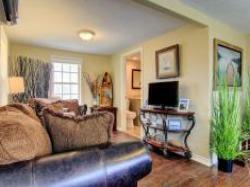 Tidy 3 bedroom townhome at Safe Harbor. 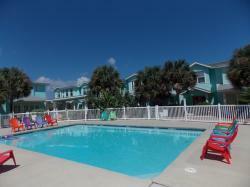 Sleeps 12 with community pool! STR# 378382. 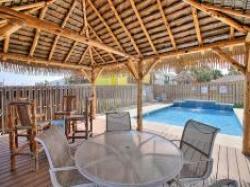 Island style 4 bedroom home with plenty of space and just steps from the pool. STR# 374123. Adorable home in Village Walk. Two community pools and gated community! STR# 381461. 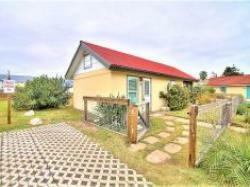 Adorable 3 bed home with great outdoor space and around 250 yards to the beach! STR# 200016625. 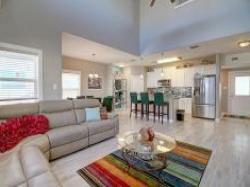 Beautiful newly remodeled townhome at Pirates Bay. STR# 514277. 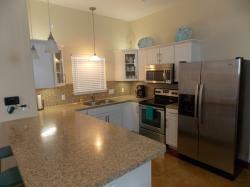 Newly remodeled townhome at Pirates Bay, 2 amazing swimming pool areas and kids play area. STR# 514306. 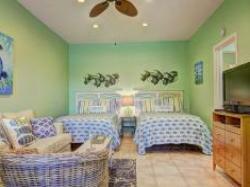 Newly remodeled townhome at Pirates Bay, 2 amazing swimming pool areas and kids play area. STR# 514305. 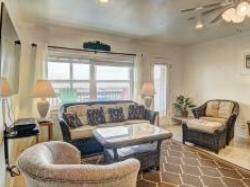 Newly remodeled townhome at Pirates Bay, 2 amazing swimming pool areas and kids play area. STR# 514299. 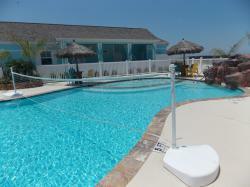 Beautiful townhome at popular Pirates Bay fronting the community pool! 2 amazing swimming pool areas and kids play area. STR# 514271. 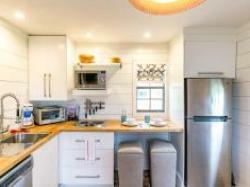 Beautiful townhome at popular Pirates Bay, 2 amazing swimming pool areas and kids play area. STR# 514272. 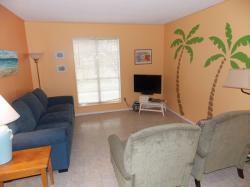 Fun, tropical themed 3 bedroom unit at Pirates Bay that fronts the community pool! STR# 382425. 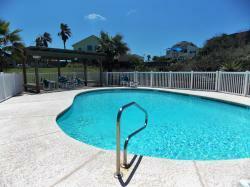 Newly remodeled townhome at Pirates Bay, 2 amazing swimming pool areas. STR# 514298. 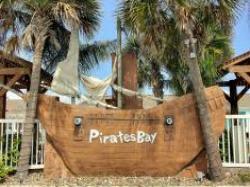 Brand-new construction at Pirates Bay, 2 amazing swimming pool areas and kids play area. STR# 514303. 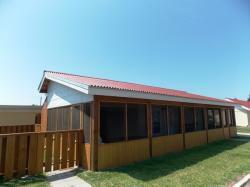 Brand new 3 bedroom unit at Pirates Bay. STR# 514287. 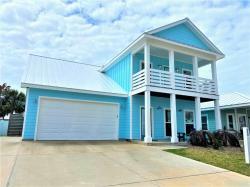 Brand-new home in Station Place with community pool, open layout and fun, coastal decor! STR# 537504. Pristine unit at the Commons. 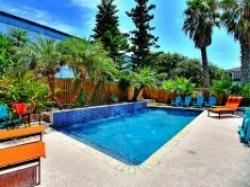 Nice tropical pool area and about 2 blocks from the beach! STR# 377757. Charming beach house at Sunday Villas. 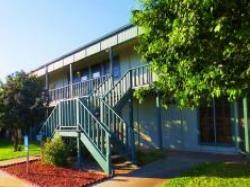 Recently remodeled, steps from the community pool. STR# 382647. 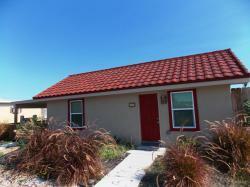 3 bedroom home with great outdoor space and quiet location near the birding center! STR# 258066. 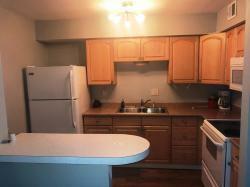 Gorgeous 2 bedroom condo at popular Pirates Bay community. 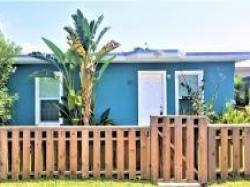 Recently remodeled and 2 community pools! STR# 382430. 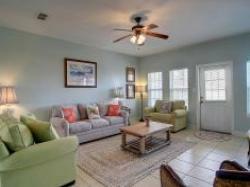 Condo at Sea Isle Village with gulf views, close to beach and town. STR# 200015467. 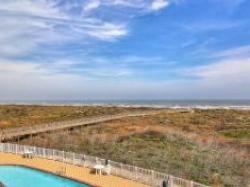 Second floor condo with amazing gulf views, community pool and beach access. STR# 200105644. 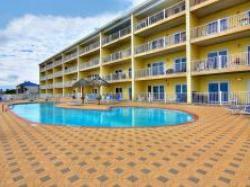 First floor condo at Grand Caribbean, community pool and beach access. STR# 200105608. Third floor condo with community pool and beach access. STR# 200105656. Third floor condo with community pool and beach access. STR# 200105660. First floor condo with community pool and beach access. STR# 200105612. 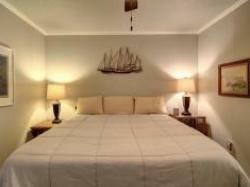 Recently remodeled condo at Sea Sands, 2 balconies overlooking the pool, close to beach and town. STR# 200016262. 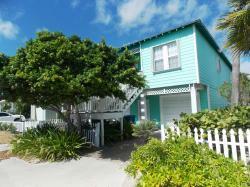 Beautiful townhouse with decks on every level, community pool and close to the beach! STR# 200110716. 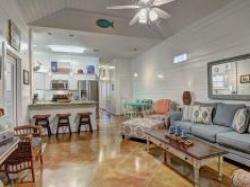 Renovated home in old-town Port Aransas. 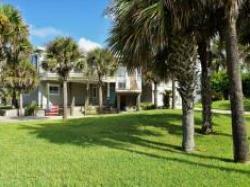 Great location near Coast Guard and Station Street Pier. STR# 212533. Adorable new home with covered porch and community pool. Easy access to Shlitterbahn waterpark! 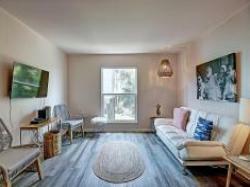 Newly renovated 2 bedrm condo at Costa Del Ray. 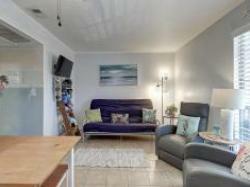 Great location in-town and near the beach. Community pool! STR# 377644. Amazingly renovated ground-floor condo with swimming pool, nice tropical landscaping and walkway to the beach. STR# 200016283. 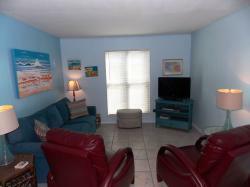 2 bedroom condo with tile flooring swimming pool, nice tropical landscaping and walkway to the beach. STR# 2000016319. 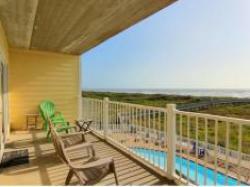 Ground floor unit at Sea Isle Village. Community pool and boardwalk to the beach! STR# 200015434. 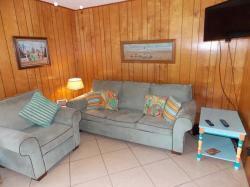 Tidy condo with swimming pool, nice tropical landscaping and walkway to the beach. STR# 200016226. 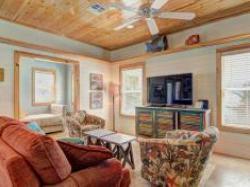 Completely remodeled cottage with carport. 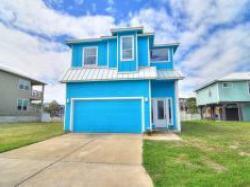 Great location in the heart of Port Aransas! STR# 524859. Completely remodeled cottage with fenced yard, patio area. 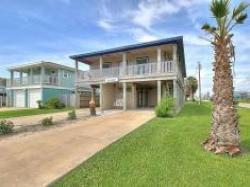 Great location in the heart of Port Aransas! STR# 524866. Completely remodeled cottage with private patio and fenced yard. 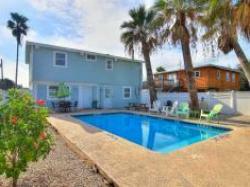 Great location in the heart of Port Aransas! STR# 524872. 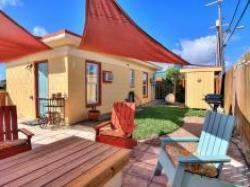 Completely renovated cottage at Spanish Village with screen patio area! STR# 524867. 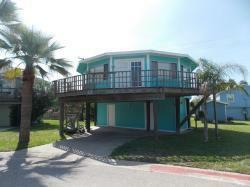 Free-standing cottage in the heart of Old-Town Port Aransas! STR# 524865. Lovely cottage at Spanish Village with amazing outdoor space! STR# 524857. Modern urban style cottage at Spanish Village. 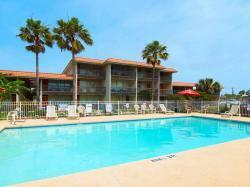 Great location in the heart of Port Aransas! STR# 524852. 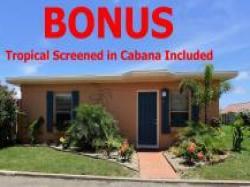 Spanish Village Cottage with BONUS screened cabana area, fenced yard and great location in the heart of Port A! STR# 524858. Completely remodeled cottage with carport. 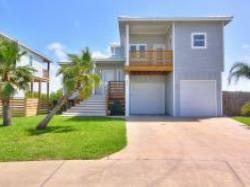 Great location in the heart of Port Aransas! STR# 524869. 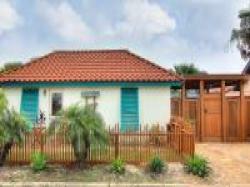 Spanish Village Cottage with fenced yard and great location in the heart of Port A! STR# 524855. 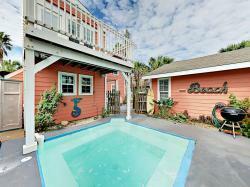 Spanish Village Cottage with updated interior and great location in the heart of Port A! STR# 524871. 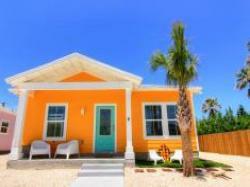 Spanish Village Cottage with updated interior and great location in the heart of Port A! STR# 524860. Cute cottage at Spanish Village. 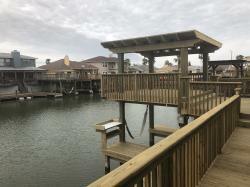 Great location in the heart of Port Aransas! STR# 524870. Cute cottage at Spanish Village. 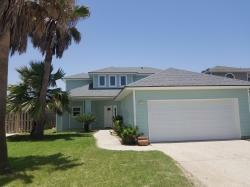 Great location in the heart of Port Aransas! STR# 524873. 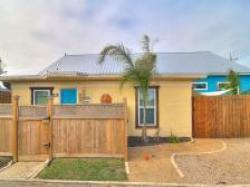 Recently remodeled cottage with great location in the heart of Port Aransas! Ground-floor 1 bedroom condo at Seamist Condos. Community pool and boardwalk to the beach. STR# 200079820. 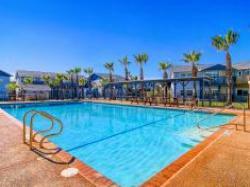 Newly updated 2 bedroom unit at Mustang Isle condos. Tile floors throughout, about 2 blocks from the beach. STR# 271340. 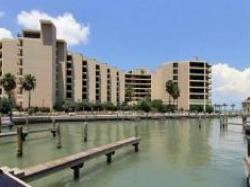 Recently updated 2 bedroom condo at Mustang Isle. Available long-term only, 6 month lease preferred. $1350/month. 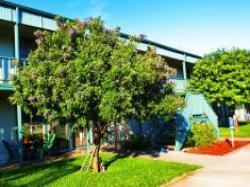 Nicely maintained 2 bedroom unit at Mustang Isle condos. First floor, about 2 blocks from the beach. STR# 271338. 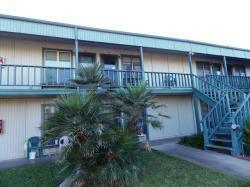 Nicely maintained 2 bedroom unit at Mustang Isle condos. Second floor, about 2 blocks from the beach. STR# 271339. Affordable 2 bedroom condo at Mustang Isle. Perfect fisherman's cottage. STR# 271354. 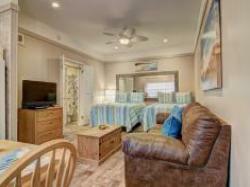 Nicely remodeled efficiency unit at Island Retreat. 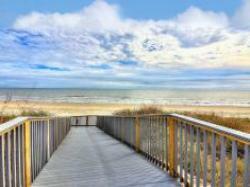 2 community pools and boardwalk to beach. STR# 248203. Cute ground-floor efficiency unit at Island Retreat. 2 community pools and boardwalk to beach. STR# 248205. 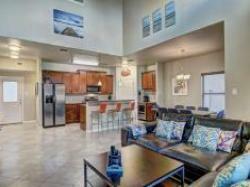 Beautiful 1 bedroom condo at Mustang Isle. 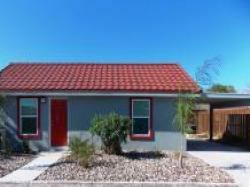 Recently remodeled and tile floors throughout. STR# 271332. Affordable 1 bedroom condo at Mustang Isle. 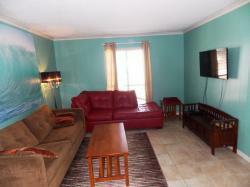 Tile floors throughout, flat screen TVs. STR# 271346. 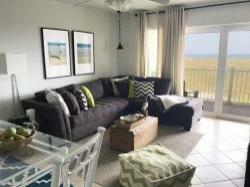 Recently updated 1 bedroom condo at Mustang Isle. Mostly furnished. 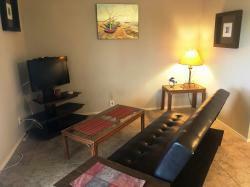 Nicely updated 1 bedroom condo at Mustang Isle. 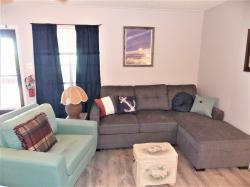 Tile floors throughout, updated furniture. STR# 271342. 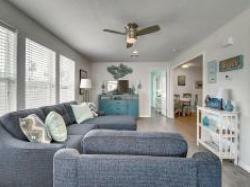 Nicely updated 1 bedroom condo at Mustang Isle. Tile floors throughout, updated furniture. STR# 271335. 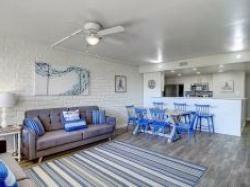 Affordable 1 bedroom condo at Mustang Isle, 2 blocks from the beach. STR# 271343. 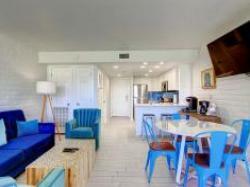 Affordable 1 bedroom condo at Mustang Isle, 2 blocks from the beach. STR# 271345. 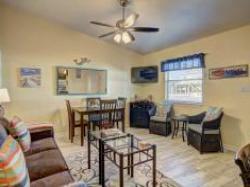 Affordable 1 bedroom condo at Mustang Isle, 2 blocks from the beach. STR# 271341. 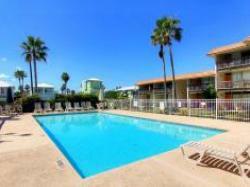 Affordable 1 bedroom condo at Mustang Isle, 2 blocks from the beach. STR# 271326. Nicely remodeled efficiency unit at Sea Sands. Pool and boardwalk to beach. STR# 200016298.